A few years ago, my husband and I went to spring training. We went specifically to see the Oakland A’s. This was when Yoenis Cespedes was a rookie, newly arrived from Cuba. He made quite an impression. After a few days, we drove to Sedona, a few hours from Phoenix but a world away. 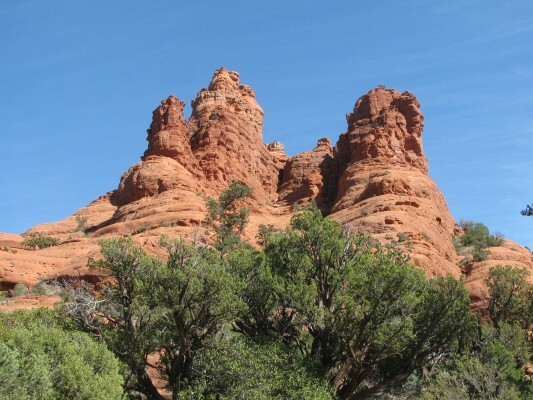 Where Phoenix is largely flat and commercial, Sedona is stunning with its red mountains in various gigantic formations. I signed us up for a pink jeep tour. It’s not unlike a roller-coaster in an amusement park. 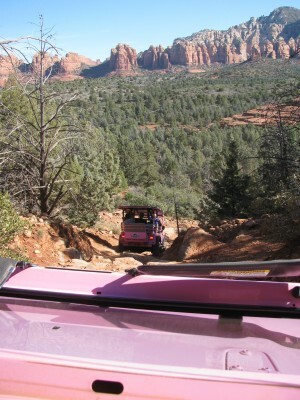 The jeep is indeed pink and hurtles up and down the steep red rocks throwing passengers here and there inside the spartan vehicle. No wonder management prohibits people with bad backs or who are pregnant! The views are pretty fantastic, though. I remember commenting to our driver/guide how impressed I was with Sedona in March and wondered what other times of the year would be nice to visit. He told me October is good except for one thing: it’s tarantula mating season and tarantulas are copulating all over the sidewalks. I decided I probably wouldn’t visit in October. Sedona attracts some odd-ball people. There’s quite a myth about experiencing the vortex. I’d read about it but didn’t quite understand. Something about a spiritual awakening. So one evening we went to a remote place to see the sunset. The night before we had gone to a not-at-all remote place and watched the sun set with what seemed like half the population of Sedona. But on this second evening, it was just Ken, myself, a woman with her dog and someone I can only describe as this hippie dude (boy, am I getting old). Anyway, this very sincere fellow starts telling me how I’d come to the right place to experience the vortex. As the sun was setting, leaving a golden hue over the very red mountains, he told me he was feeling the vortex and wondered if I was, too. Truth be told, I was not. But I sure found Sedona to be an interesting place.